Happy Pig beanbags are some of the strongest and most comfortable bean bags on the market today. Made in the EU using only the highest quality materials and stitching, the Happy Pig bean bag is built to last. We have selected only the most comfortable and durable bags for you to choose from whether you are looking to brighten up a children’s reading room or playroom or you are looking for the perfect reading chair Happy pig chairs are available in a range of sizes to suit all ages. All Happy Pig bean bags made in the EU and filled with Irish polystyrene beans. 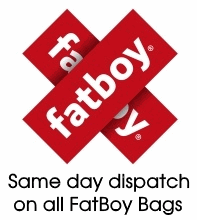 We offer free delivery on all bean bags so why not buy now and pig-out on a Happy Pig today!